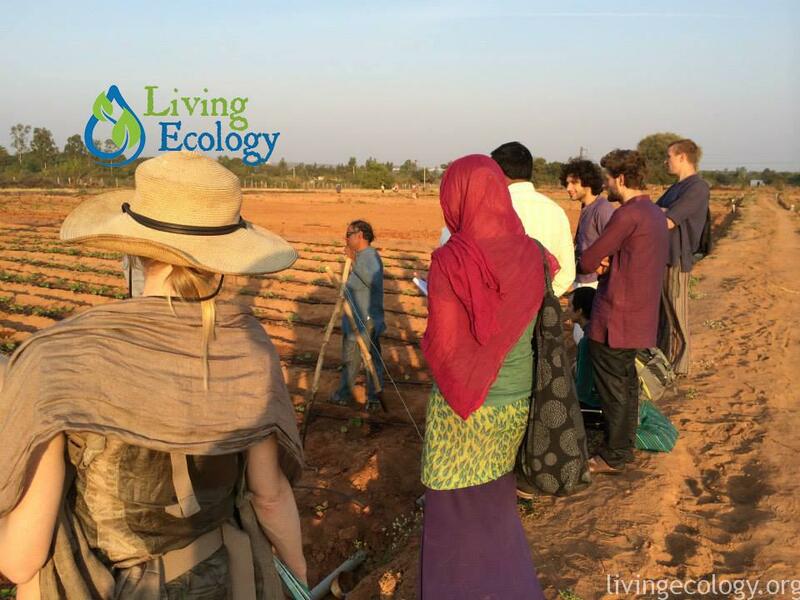 Interns from all over the world come to Living Ecology’s permaculture internship in India, and are responsible for the design and implementation of a sustainable farming project in Aranya Agricultural Alternative’s Tribal Development Program Area. 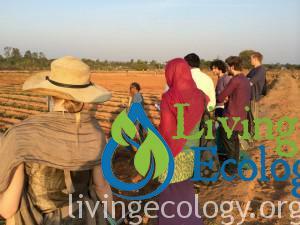 Interns will visit many successful project sites and see the results of various permaculture practices. 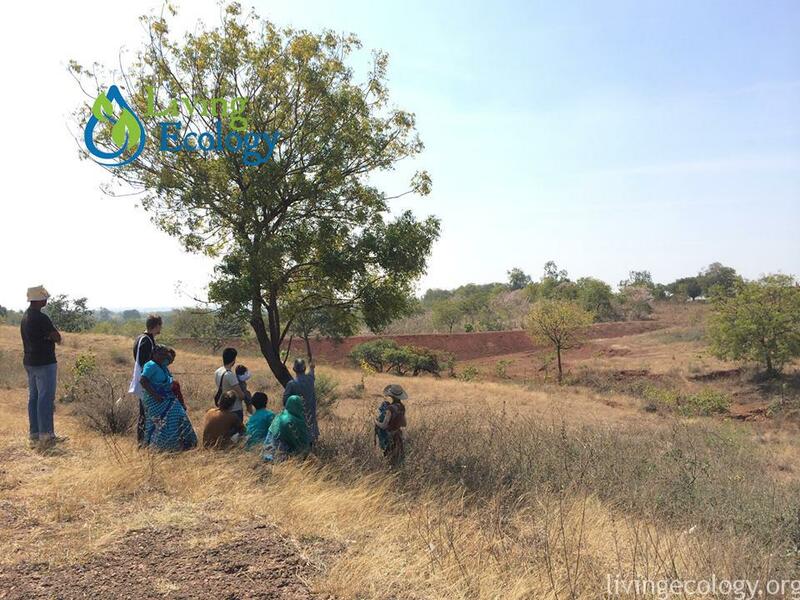 Following Aranya’s Agricultural Alternatives’ effective development method, interns will live with villagers, learning about their traditions and needs, building relationships and community trust. Interns will then be mentored in creating their own permaculture project, carrying it out, and following up on long-term results. 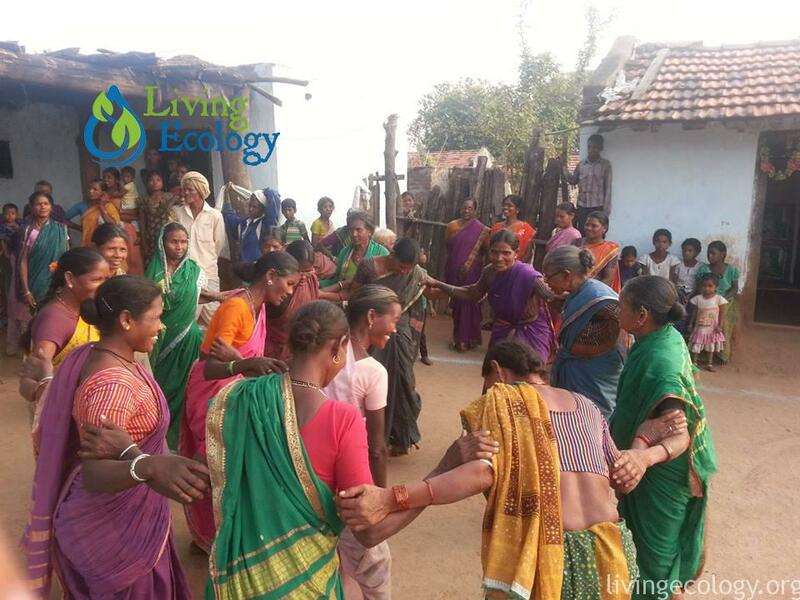 Indian villagers celebrating during Living Ecology’s intern visit. 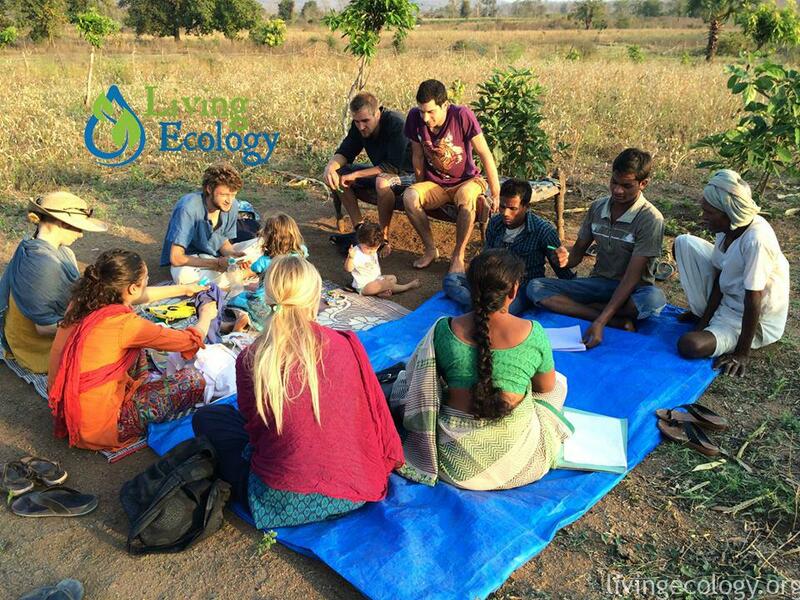 Admission to Living Ecology’s internship in India requires previous permaculture education for admission. 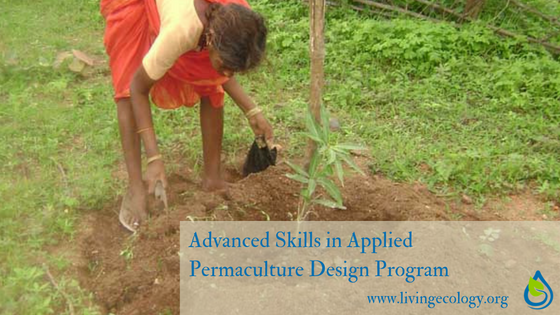 Permaculture Design Course (PDC) certification is recommended for admission. However, equivalent training or experience will open up the opportunity for consideration. This is an introduction to permaculture practical applications, but prior knowledge of the basic principles is necessary. If there are more applicants than space allows, interns will be chosen based on agricultural experience. Upon completion of the program, interns receive the Aranya Agricultural Alternative’s Permaculture Practitioner in International Aid Certification. Interns learn social mapping and surveying. They spend time making connections in villager’s lives, learning through teachings and customs. Final certification will require a social report based on experience gained throughout the duration of the project. Interns work on recording a plant database, methods of animal husbandry, climate and land use. A report of the present environmental situation, including what is possible and what is probable will be created. Map land and project area, reasons for project and its projected impact. Interns create a design for their farm, and facilitate implementation of the plan with the villagers’ help. Together, they create an agriculture masterpiece that is meant to last. 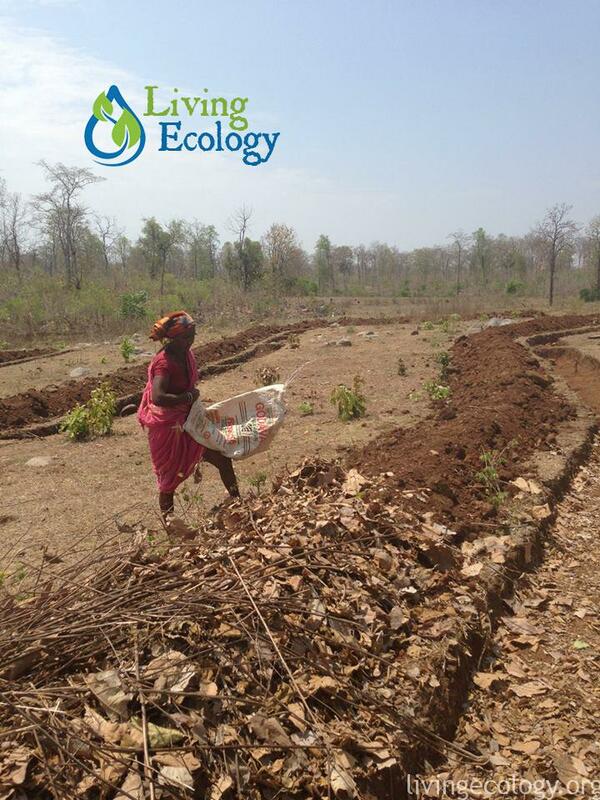 Follow-up report measuring the impact of Living Ecology’s permaculture internship in India. Note: Changes have been made to the internship. There is now a three month option for those interested. The planting, follow-up, and certification are not included in this option. 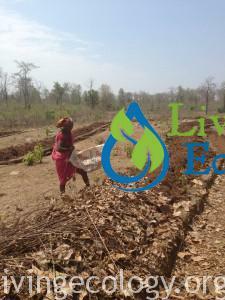 Aranya Agricultural Alternatives mission and history. Visit to Aranya’s City Farm School. 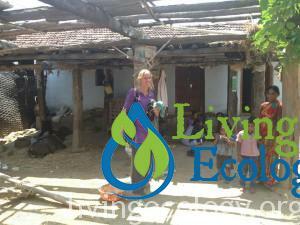 Visit rooftop water harvesting sites that directly recharge wells. Time for shopping: supplies and appropriate Indian clothing. Watershed education and government projects. Survey techniques: how to create contours using A frame, U tube, and dumpy level. Water harvesting structures: water absorption trenches, swales, percolation tanks, ponds, dam walls, spillways, gully plugs, check dams, gabion structures and stone outlets. Landforms – concepts of design. 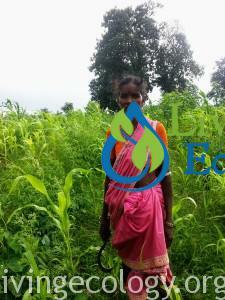 Small farmers who have worked with Aranya and are using permaculture and biodiverse practices. Thatch construction, compost, nursery, seed collection, and preservation. Windbreak plantings, alley cropping, planting. Farm and herbal forest flora identification and uses. Contour bunding and percolation tank installation. Interns learn, listen, and get to know villagers they work with. Trust, respect, and friendships bud and blossom during this time. 1 week village home stay. Telugu language practice and learning. Social mapping and socioeconomic survey. Nutritional and food habit assessment. Discussions about needs and issues. Study of plants and trees in village and farms. Matrix participatory educational farmer interaction. Forest department and tribal department visit.Climate and environmental research. Work for a morning with 100 days government work program. Natural and local home construction with mud and thatch. 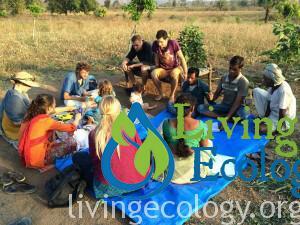 Introduction to Permaculture for Villagers workshop. A break from the internship in India is taken with rest, relaxation, or independent exploration of the country. Water harvesting earthworks planning and mapping. 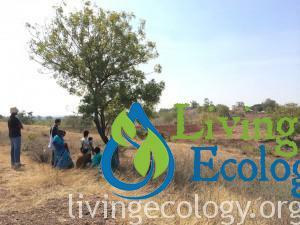 Water harvesting earthworks workshop for villagers. Lessons on local intercropping patterns and appropriate tree species. Soil Fertility workshop for villagers. Final presentation of permaculture design project. Aranya Board of Directors presentation. 2 month break during extreme hot season. Returning June 13 at the beginning of the rainy season to implement the planting part of the design. During this break, interns complete a detailed project report. Planting of trees, local annual crops and live fencing. Microbial innoculants and bio-inputs class and application. Assessment and design for village rainy season water issues. Market analysis and idea generation for villager cash income. 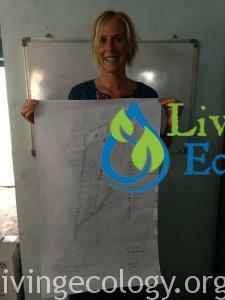 Follow up report assessing success and impact of the intern’s permaculture project. The intern will learn what worked in their design plan and what needs adjustment or follow up and will make suggestions. [Intern can do follow-up report in-person or receive photos and information from Aranya staff or interns of the following year.] The report will be evaluated by Narsanna Koppula and Raya Cole. Upon completion of their project, interns receive Aranya Agricultural Alternatives Permaculture in International Aid Certification. 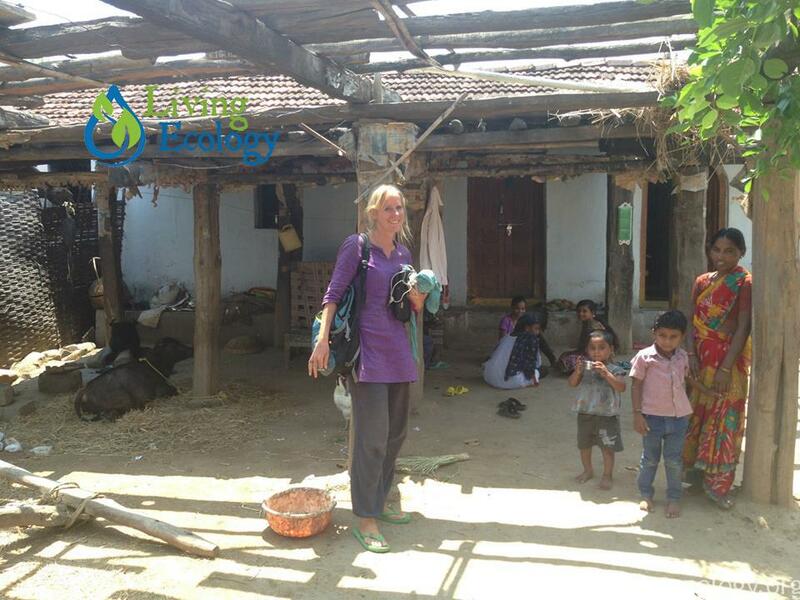 Those who successfully finish Living Ecology’s internship in India will have the skills necessary to implement aid projects across the globe, sharing permaculture’s practical application with those in need. Successful intern projects will be showcased in the 2017 International Permaculture Conference tours. Airfare to India is the intern’s responsibility for both the seven month and the three month internships. Projects (certification) can be completed in the name of an organization or community that sponsors the intern; consider fundraising in your local community to help support the implementation of this permaculture internship in India, an international aid project that creates long-term resilience. We support fundraising initiatives for interns who are pre-qualified.